Not My Son is a moving documentary from TCF professor Dwight Cammeron and Ginger Jolly. 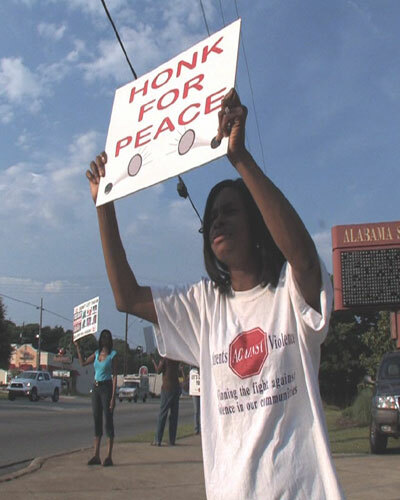 It chronicles the story of Carolyn Johnson-Turner in Birmingham, Alabama, who founded the Parents Against Violence Foundation following her son’s death by a gunshot. At the age of 20, he was shot while parking his car outside a friend’s birthday party. Johnson-Turner is on a mission to prevent other deaths and her organization unites mothers who have suffered the loss of children to violence. There are many tears when they meet, and this documentary is difficult to watch with dry eyes as they recount the stories of how their sons were murdered. But these parents have turned their grief into action. They hope that by sharing how urban violence affects so many people they can have a beneficial impact on society. A premiere screening of the one-hour documentary is scheduled for 5:00 p.m. on Saturday, January 23rd at Woodland Park Church of Christ (1800 Martin Luther King Jr. Dr. Birmingham, AL 35211). Johnson-Turner and other parents seen in Not My Son will be in attendance. Not My Son Trailer from Rob Briscoe on Vimeo.